Instagram copied stories feature from Snapchat but managed to beat Snapchat in number of active users using Insta stories. Users can post photo or video as Instagram stories. Users can add GIF stickers, Mention someone and add text while sharing stories. Followers can see stories of people they are following by tapping on the icon at the top of the app. Stories allow a person to share a part of his/life with them. People usually share where they are, what they are eating, whom they are meeting and similar stuff to share the story of their day. It has made Instagram much interesting and helped the company in getting better engagement. Instagram shows the list of people checked Instagram Story. If you share a story, you can easily see who checked your story. If you have used location based tag or hashtag, people can also find your story by the hashtag or location tag and see it. You can also find location based or hashtag based story. If you watch a story shared by the person you are following, your name will in the watch list. There is no official option to check Instagram stories anonymously. But what if you want to do this? There is an option. Yes, you can check Instagram stories anonymously and your name will not be included in the watcher list. If you want to know how to watch Instagram Stories anonymously, keep reading this interesting article. Here are few ways to check Instagram Stories anonymously. You can not just watch but also save a copy on your system or mobile device. Have a look on these 4 methods. For checking someone’s Instagram stories anonymously, you do not need to install anything. The trick I am sharing here uses the browser based method. Just open the browser and navigate to storiesig.com. This is the website that helps in checking Instagram Stories anonymously. Here, enter the username of the person whose stories you want to check. Tap on return to search and it will show you the search result with number of stories available to see. Select the user and you will be shown the stories of that profile. If a story is video, you can even play it right from the browser. By following these steps, you can easily watch any Instagram story. You didn’t login to Instagram on this website, so there is no way other person can see if you have watched the story. You can check any person’s Instagram story and there is no limitation in that. The good thing is that there is no need to create an account on storiesig.com. You just go and search for an Instagram user’s story. This is the easiest way to check Instagram Stories of a person anonymously. There is another tool called weinstag.com. This allows you to download stories of any other person from the browser. You just need to visit the website and enter the username. It will then show you the Stories of that person with link to download it. It there are multiple stories, it gives the link to all stories. You can see all and download that you want to download. Link to download will be given for each story item. If a story is video item, you can directly play it within the browser. you can see the snapshot above. It clearly shows the video play with audio control and option to make it full screen. This tool also allows you to download photos or videos of any Instagram user. If you were looking for that tool as well, you can go with this method. It will solve multiple purposes and you will have to remember just one tool. There is also a method that I talked in a previous post. I wrote an article on how to watch stories on desktop. In that I talked about ‘Chrome IG Story’ extension. Instagram now officially shows Stories on desktop. So, there is no need to use that extension just for watching stories on browser. But you can use this extension if you want to check stories anonymously. If you use that extension to check stories on desktop, your name will not be revealed to other person in watch list. In this way, you can check Instagram Stories anonymously without revealing that you have watched. Note: I also want to make it clear that I am no way encouraging stalking. While you cannot do any harm to other person by checking the Stories, but you are still breaching the Privacy. So, do not misuse any of these tools. 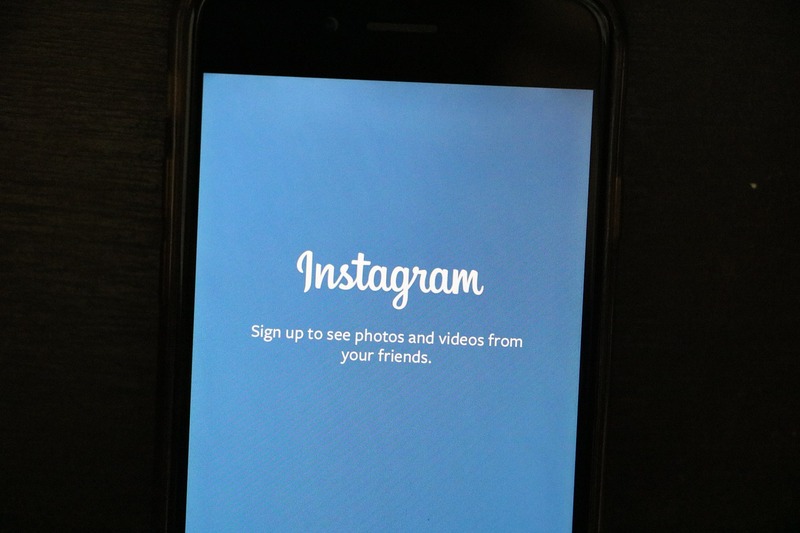 Even if you download photos of any Instagram user, do not use that for any malicious purpose. This blog neither promotes illegal things nor takes any responsibility for harm you do by reading the content of the blog. Now you know how to check Instagram Story of any Instagram users anonymously. Do not forget to try this and see if it works for you. Method 1 is the best as it does not require any installation. Just go and enter the username to watch stories. Method 2 is also similar and even allows you to download stories. Third method wants you to install the chrome extension. So, I do not recommend that one. If you can watch it easily without installing anything, there is no need to put extra burden on your browser. I hope you find this article interesting. Do not forget to share it with your friends and follow or social media pages. We have posted lots of other Instagram related articles on Use This Tip. DO not miss those and learn more interesting tips and tricks about Instagram. You can also follow me on Instagram at @deepanker and @thetechlomedia. @thetechlomedia is the handle of my tech blog where I post updates related to technology and gadgets. You will surely find that interesting. If you have anything to ask, you can always leave it in the comment.